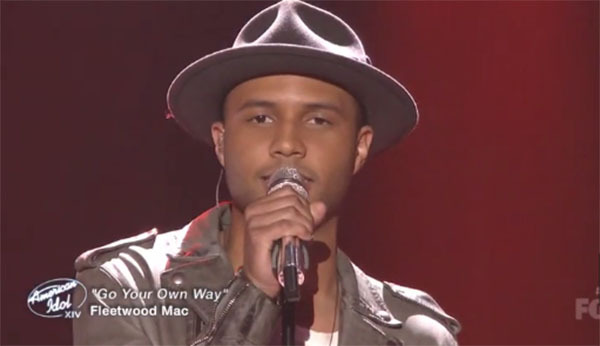 Rayvon Owen sings ‘Go Your Own Way’ by Fleetwood Mac on American Idol Season 14 Top 6 ‘Arena Anthem’ performance night on Wednesday, April 22, 2015. Rayvon impressed the judges with his high notes at the end of the song. “You just had to get it in there. That made up for every high notes,” said Harry Connick Jr. “That was a crazy high notes,” said Keith Urban. “It was a great way to finish the show to fight. You are such a fighter, you are not going down. It was a really good performance for you,” said Jennifer Lopez.